Emergencies occur often, and everybody will experience multiple occurrences through life’s journey. Some emergencies maybe classified as dire or merely inconvenient. Dire refers to emergencies that occur away from populated areas or on the highway. Your health and welfare are at risk. In a rural area outside of cell coverage or on remote highways help may be distant and difficult to contact. Next are those inconvenient situations like running out gas or the car stops for some reason or a flat tire and you’re not capable of changing a tire. If you are in a cell phone range, Speedway Towing & Roadside Assistance can respond for towing or roadside assistance, like jumping your battery, providing fuel or other services. 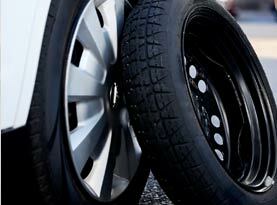 •	Tires need to change a flat. •	Fuel, out of gas or water in the tank. •	Belts and hoses. Modern systems with serpentine belts are vulnerable if the belt breaks. No water pump, AC or electrical generation if your belts fail. Hoses deteriorate and should be replaced every five years, but let’s face it, few of us do. The radiator hoses are subject to high heat and oxidize and turn soft leading to a hose leak. Heater hoses last longer but will eventually breakdown and fail. Water pump seals and gaskets fail. As the bearings wear the shaft wobbles and overtime case the shaft seals to fail causing leaks. •	Sticking thermostats can cause overheating and vent hot steamy water through the radiator cap to equalize pressures. Modern radiators are predominately plastic and plastic under heat and pressure will fail eventually. So, your accessories and cooling system are vulnerable to failure. •	Ever need a jump? Batteries have a finite lifespan. In high heat desert terrain, you may get three years on a typical battery, with premium only getting 4-6 years. Needing a jump is a common emergency. Lights left on or possibly corroded terminal connections are common. Get started and the alternator will provide enough power to get going. •	Ever leave your keys in a locked car? Awkward much! Very annoying and embarrassing. 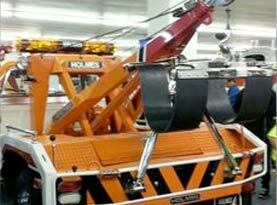 Many tow companies carry the tools necessary to aid in an automotive lockout. Most towing is the US utilized a flat tilting bed or a flatbed with a crane that lifts the vehicle onto the bed by the wheels. Hook, the police term for the traditional tow trucks are still found and are better suited for vehicle recovery when in ditches and ravines, or similar environments. Towing of commercial vehicles like buses and semi-tractors require special heavy-duty rigs based on semi-tractor frames. Generally, only the tractor will be towed, leaving trailer for pickup after repairs or the arrival of a back-up tractor and driver. The next primary tow situation involves accidents and rollovers. In many cases if involved in an accident you are required to remove the vehicle. Avoid tows to storage yards as storage fees mount fast, and with older vehicles this will render recovery economically infeasible. 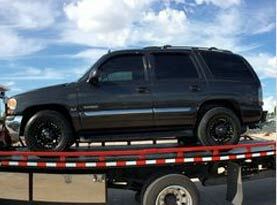 It is better to hire a reputable towing company to tow your vehicle to a mechanic or your residence. 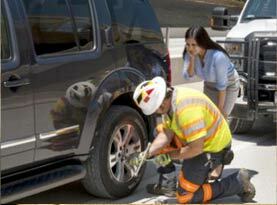 Contact Speedway Towing and Roadside Assistance for all your roadside emergencies and towing needs.